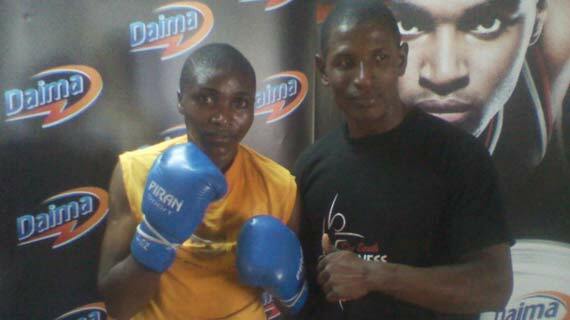 East and Central Africa Bantam weight champion Fatuma Zarika is preparing for a Super Feather Weight title fight against a German opponent next month in Germany. The Kenyan boxer has confirmed that she will honor the fight though finer details of the match including date and opponent having not been communicated to her. In September last year a Bantam Weight fight between Zarika and Uganda Hawa Duka failed to take off as planned, instead, off ring fights with promoters forced cancellation of the real bout. The fight degenerated into a war of words between organizers, the boxing Federation, promoters and the boxers with accusations of fraud taking center stage. Zarika has however said she will not let last year’s sad occurrences derail her from training for the upcoming match saying she will do her best in the forthcoming fight. “My former coach Julius Odhiambo is the one working on the travel plans and other logistics. He will communicate to me soon on my opponents as well as other details concerning the bout. All I know at the moment is the fight will take place in Germany somewhere in February.” Said the Bantam Weight champion. “My training is going on very well at the vision plaza, as I want to be in the right spirit mentally and physically for the match. I don’t want anything to distract me from the match that I am looking forward to.” She said.